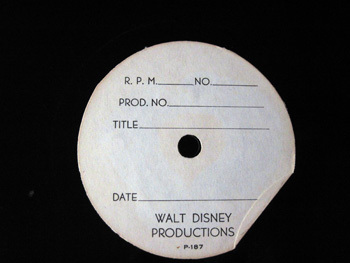 World's Rare Media was designed to showcase some rare finds in the world of media and entertainment. 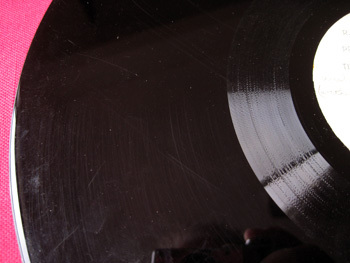 Most of the items showcased here are available for purchase but the owners may prefer to remain anonymous. 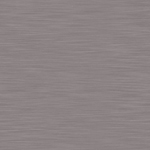 You may contact them at the email provided with their presentation and the owners may reply at their discretion. 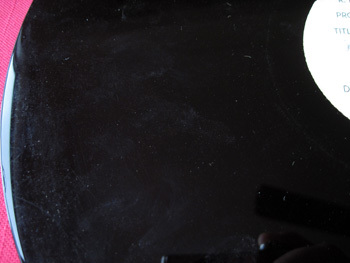 Thank you for your interest in our display. 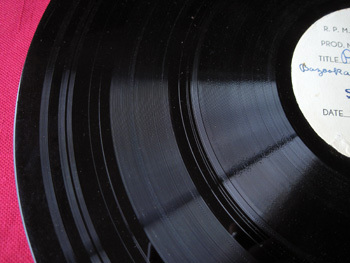 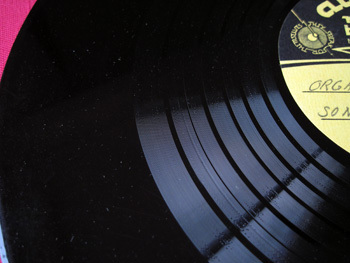 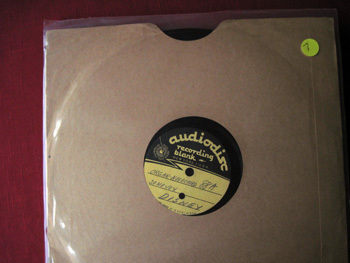 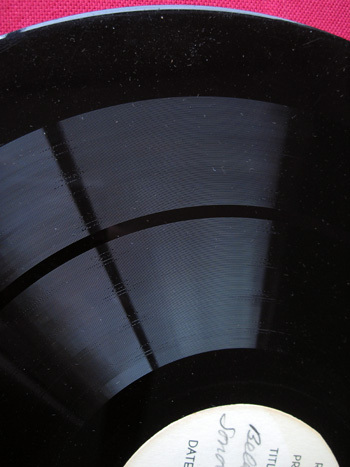 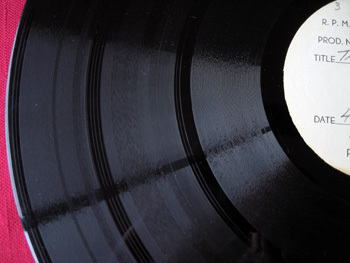 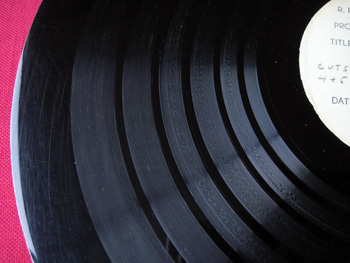 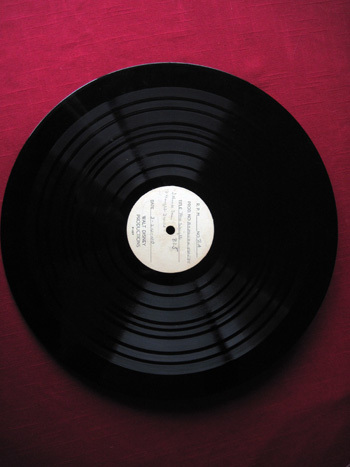 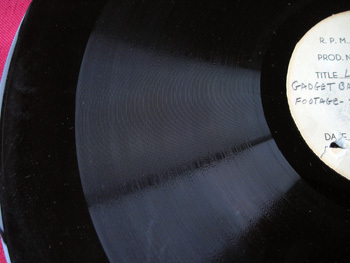 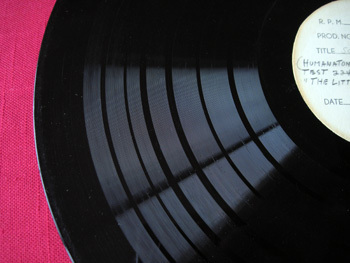 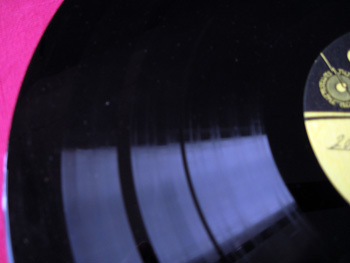 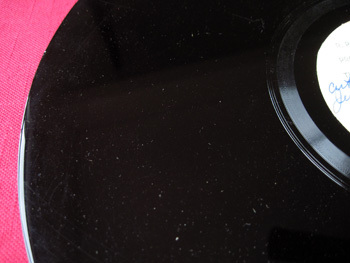 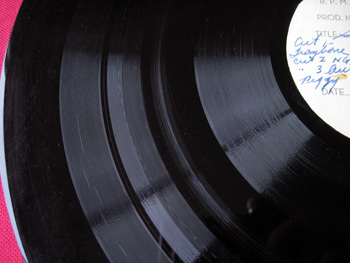 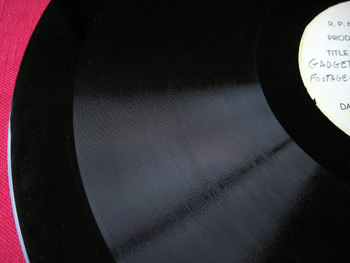 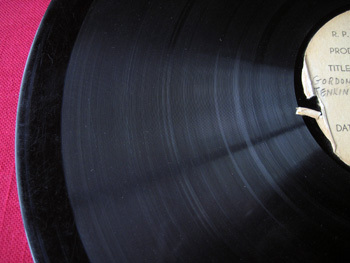 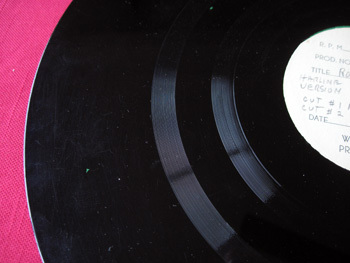 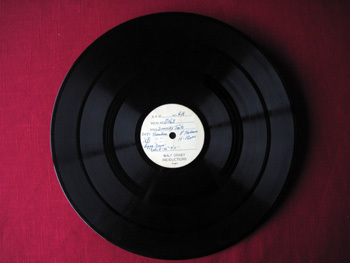 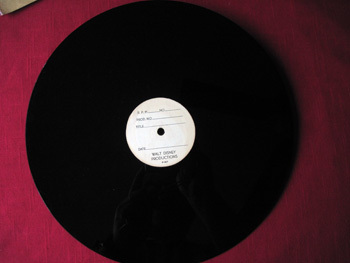 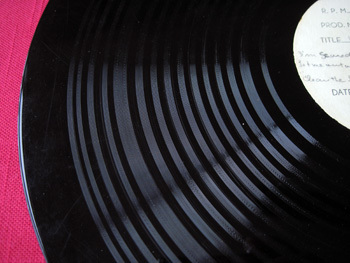 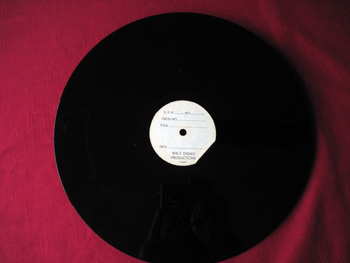 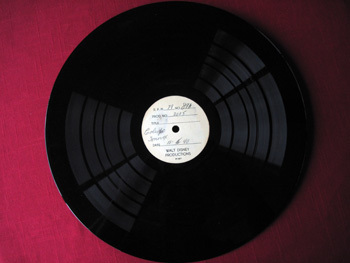 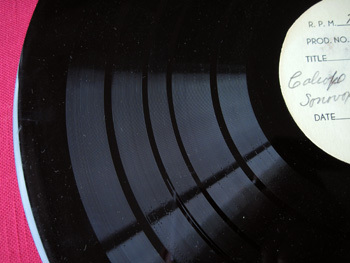 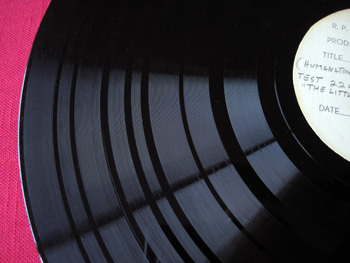 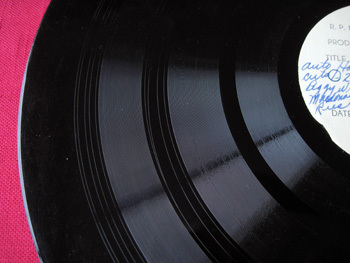 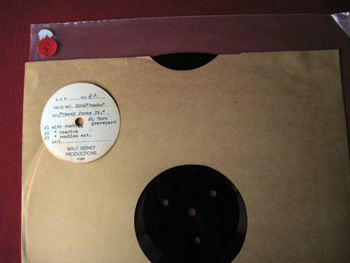 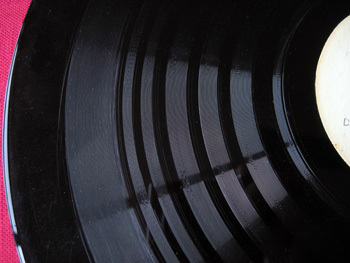 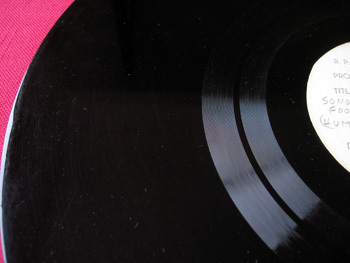 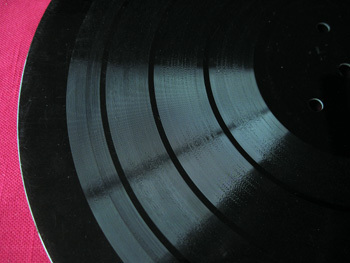 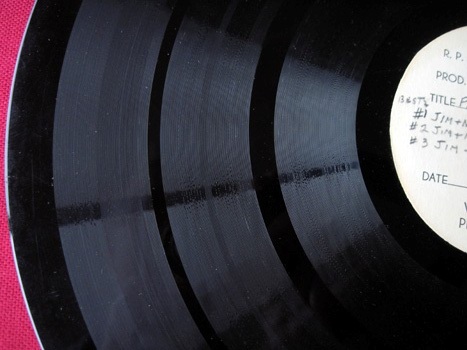 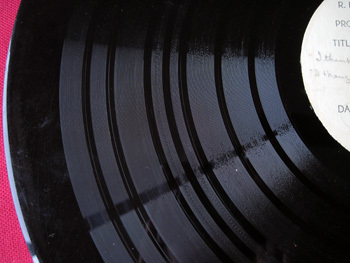 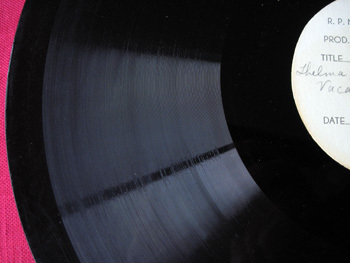 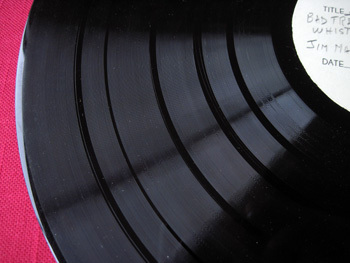 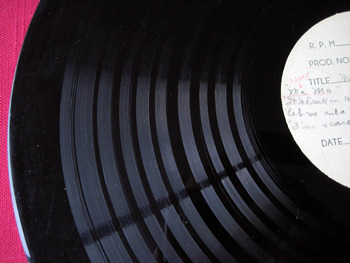 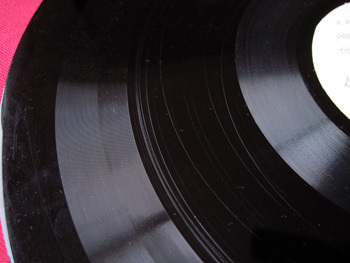 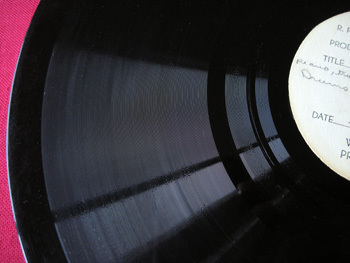 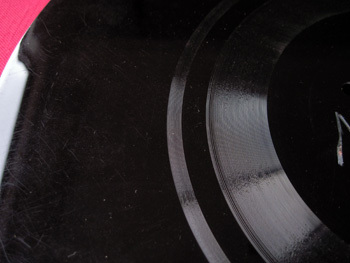 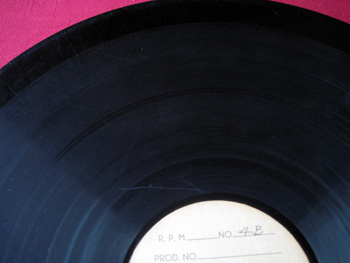 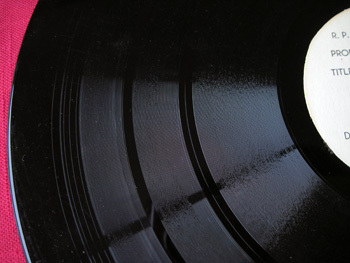 The M. Rose collection consists of some very rare (possibly one of a kind) recordings made on acetate. 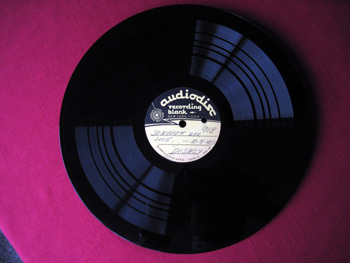 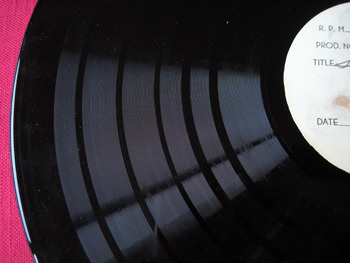 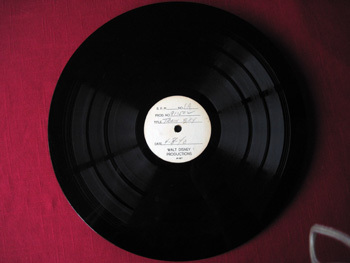 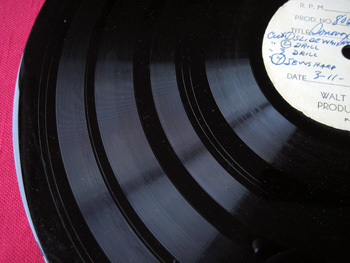 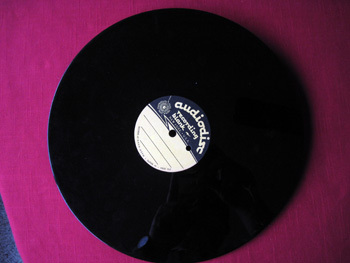 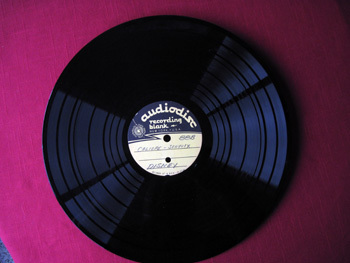 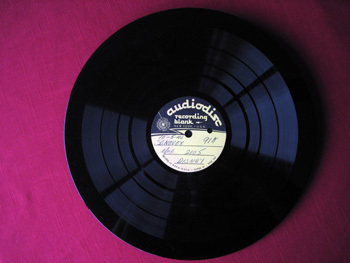 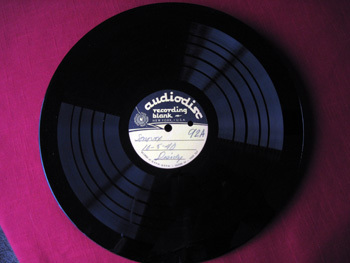 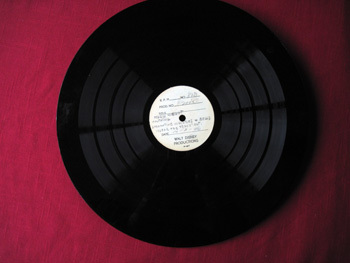 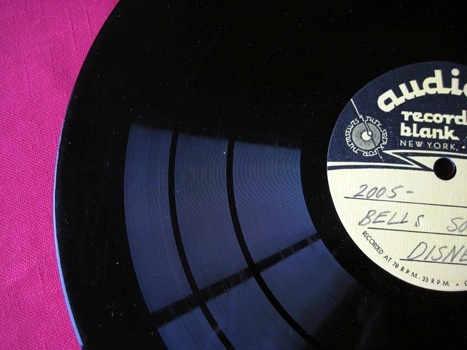 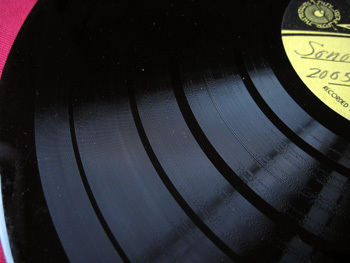 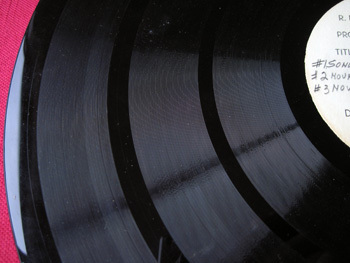 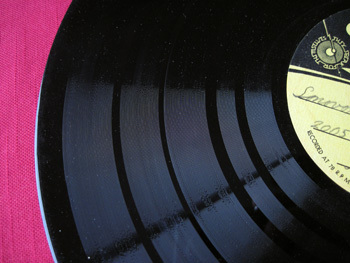 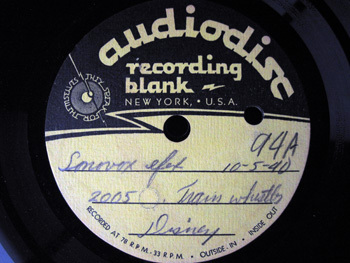 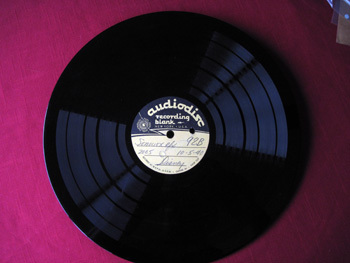 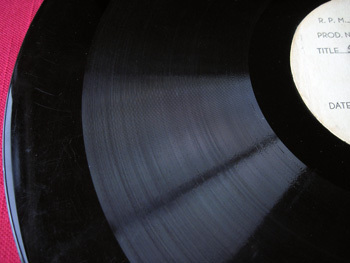 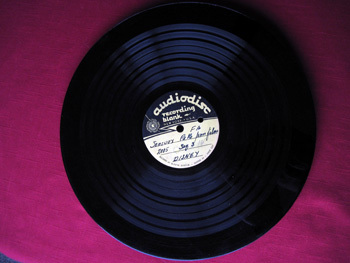 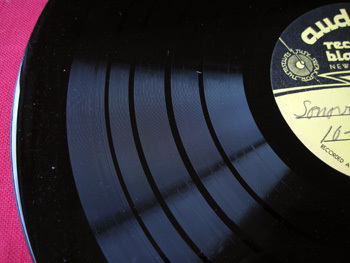 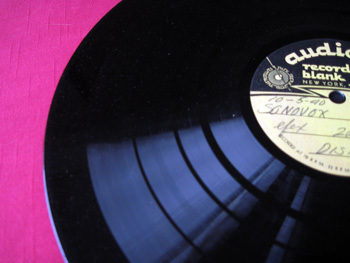 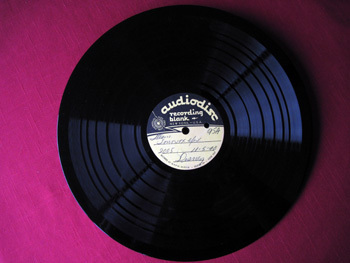 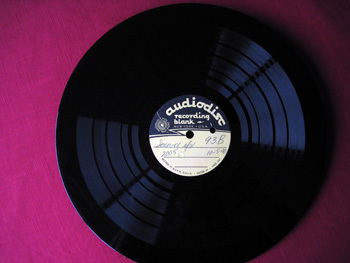 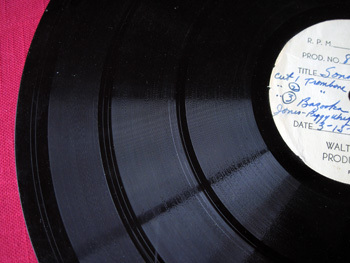 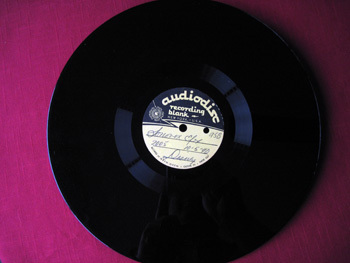 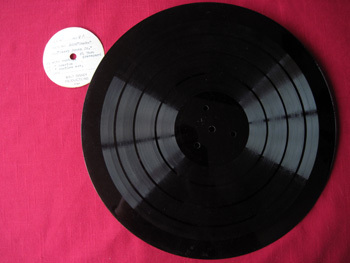 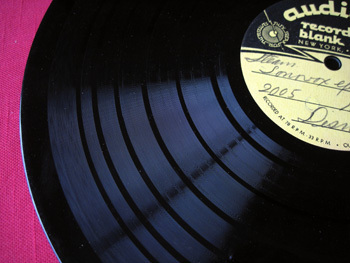 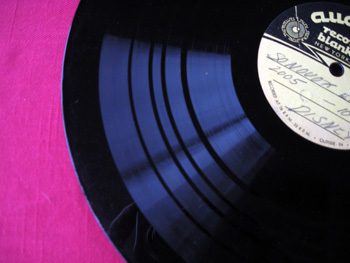 Most of these recordings are dated between 1937 and 1940. 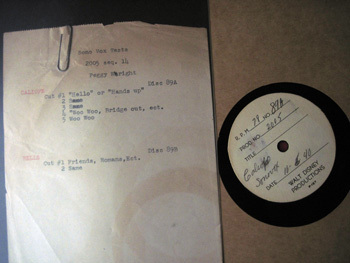 These recordings have been very well cared for and preserved and came from the private collection of Hal Rees. 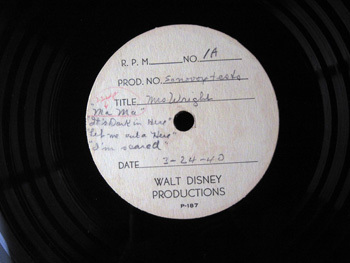 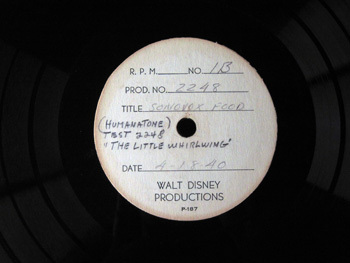 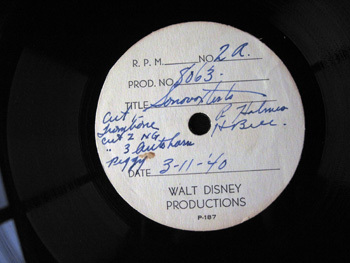 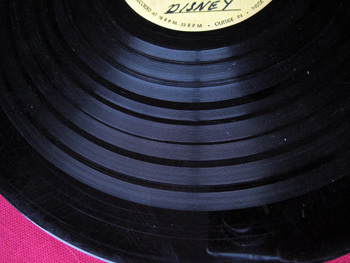 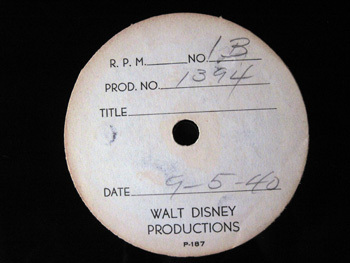 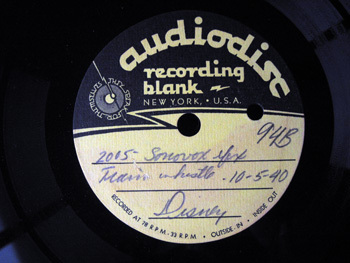 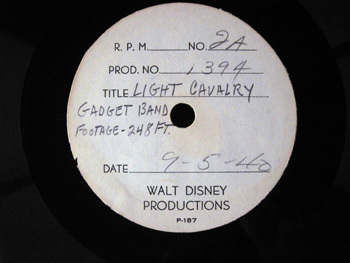 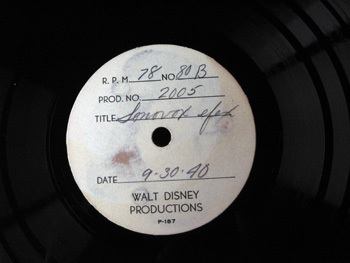 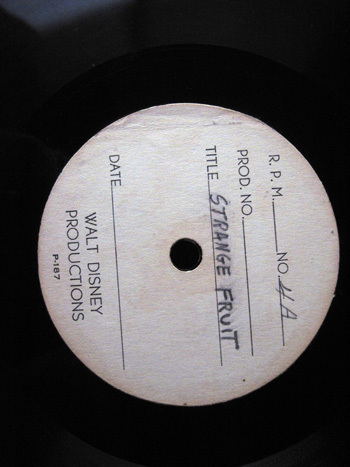 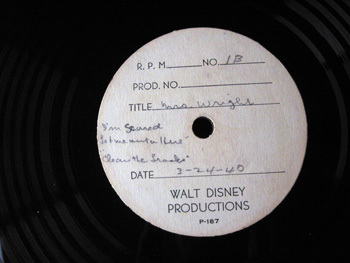 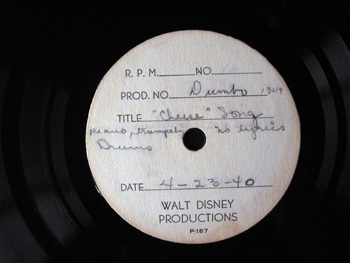 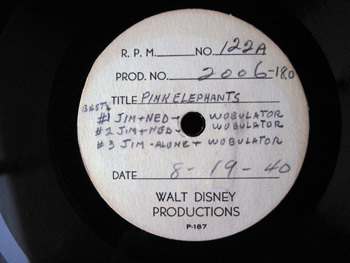 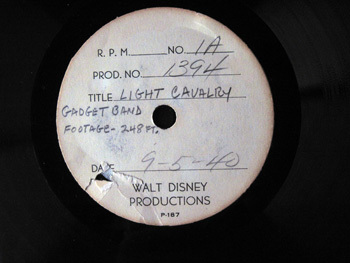 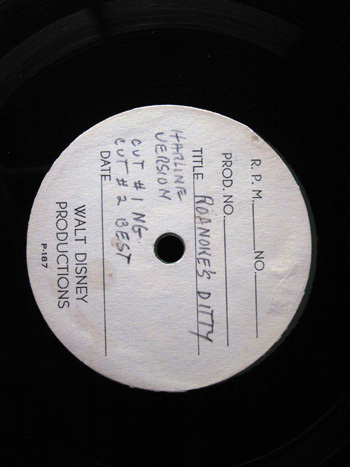 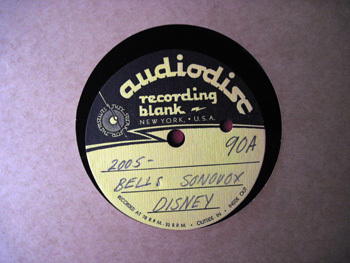 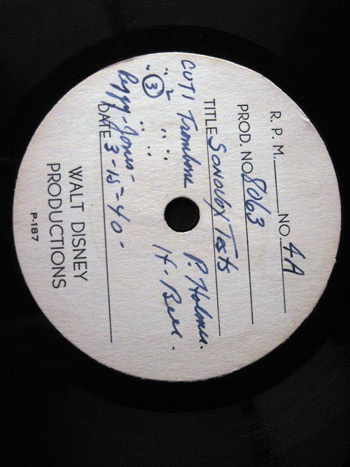 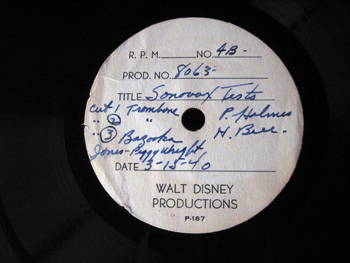 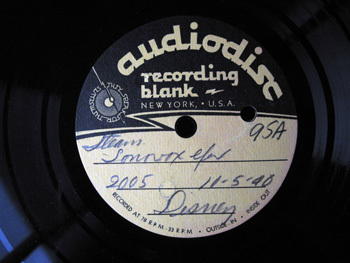 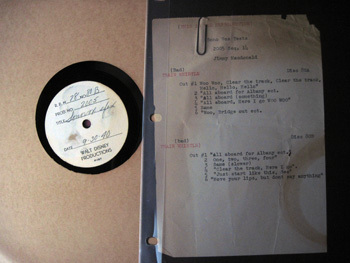 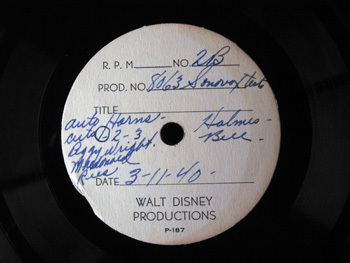 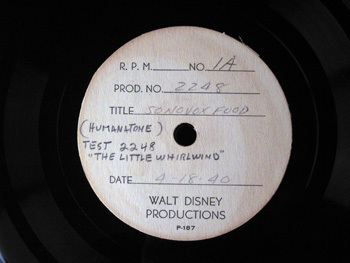 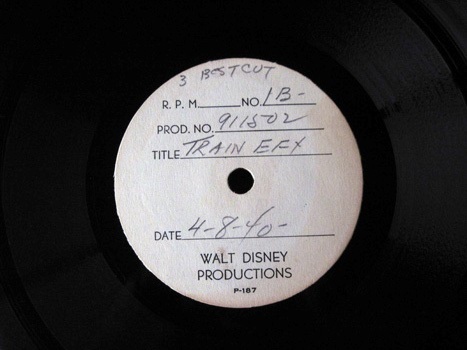 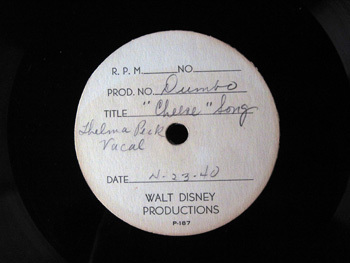 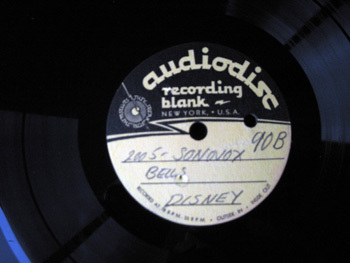 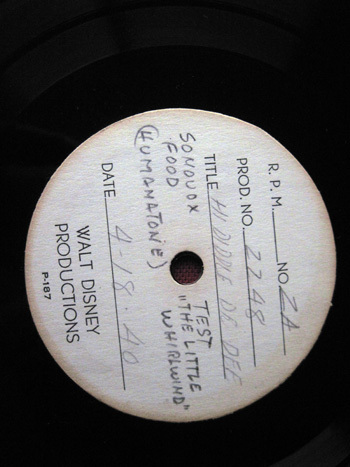 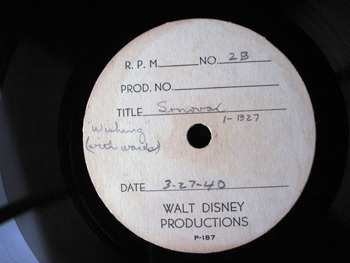 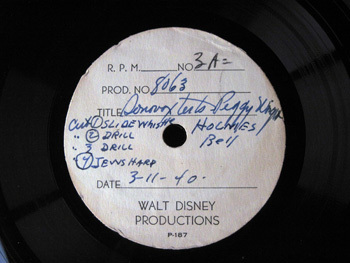 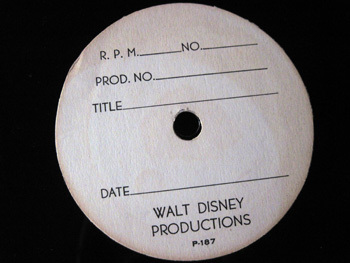 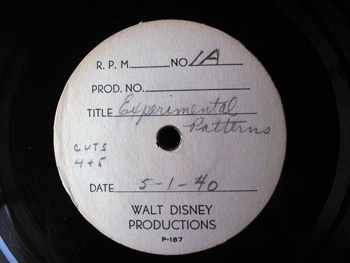 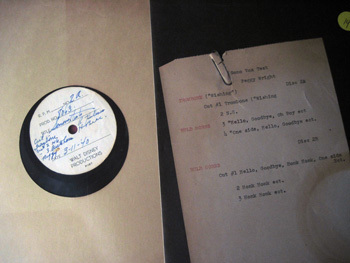 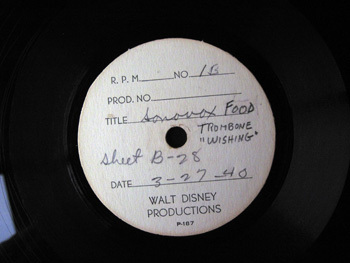 The almost pristene recording of early versions of Disney songs, sound effect tests, and comments made during early stages of productions like Dumbo are what makes this a rare find. 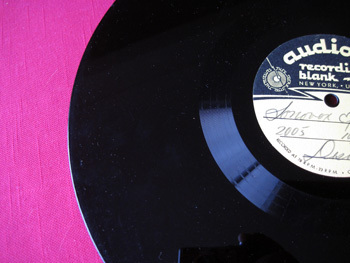 The current owner is interested in selling all or part of this collection. 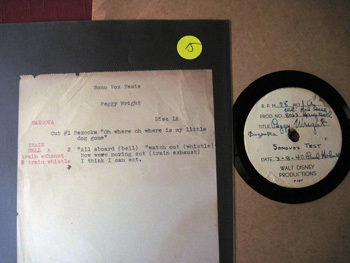 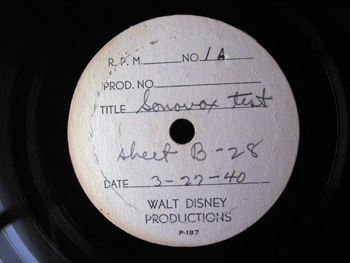 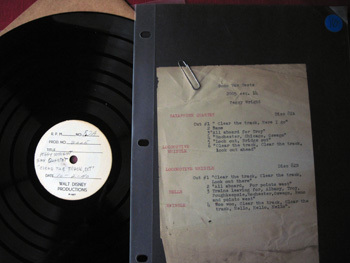 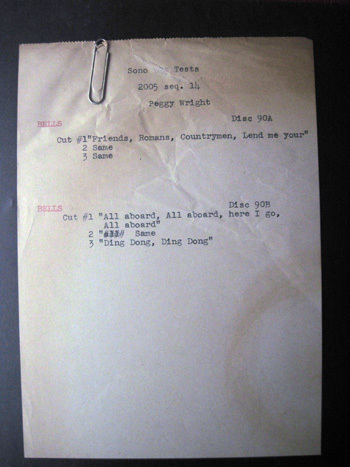 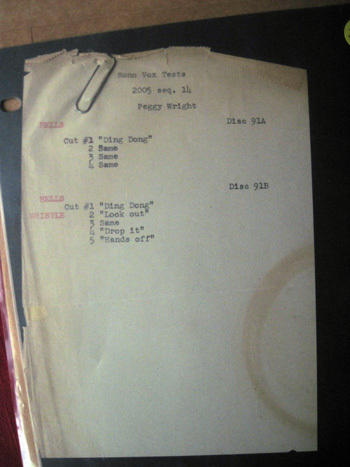 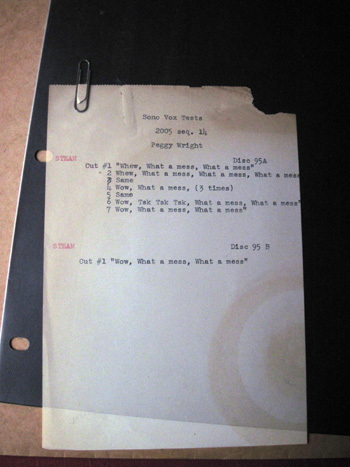 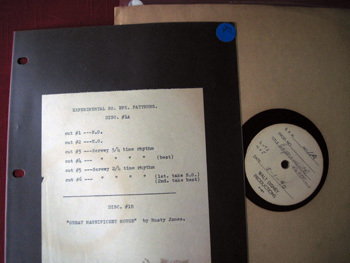 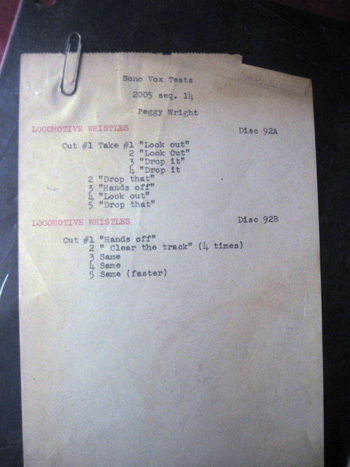 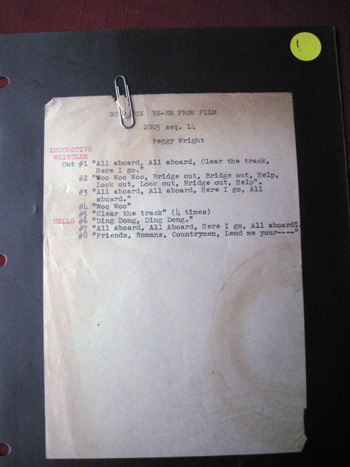 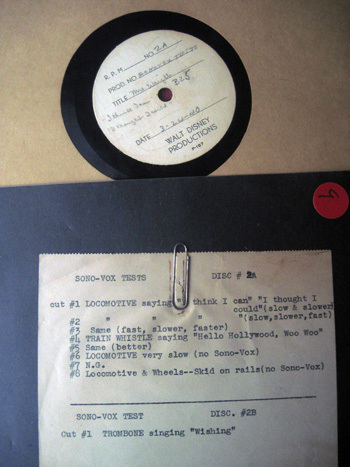 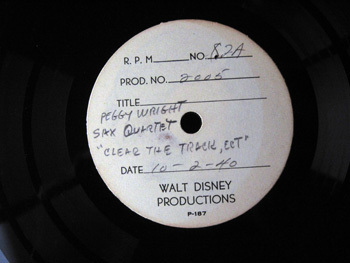 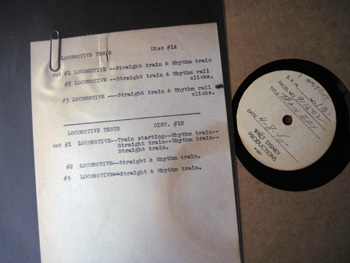 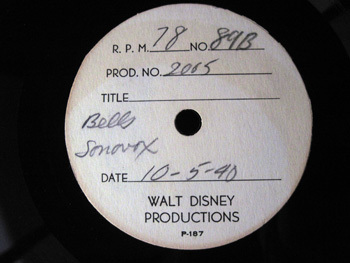 Some have typed sheets from the studios containing production number, sequence number, the people recording on the tracks, and what they contain. 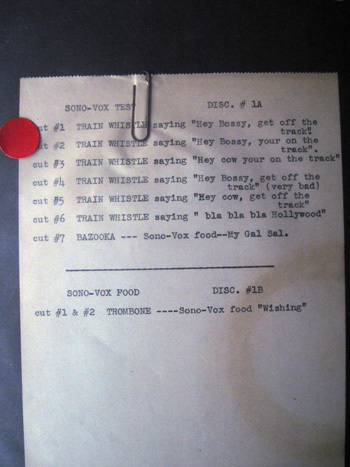 Many list what type of item they are using to record the sound or sound effects. 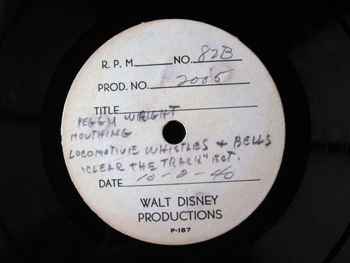 Example: Bells, train whistles, musical instruments, Hum atones. 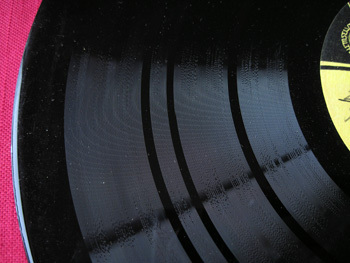 They may also have people talking in between tracks. All different and are most likely one of a kind recordings. 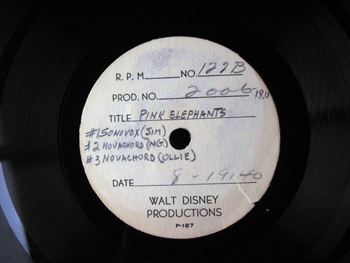 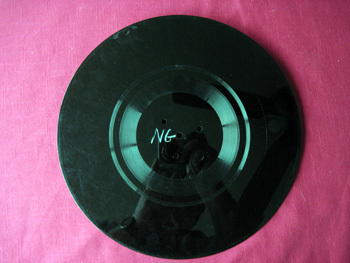 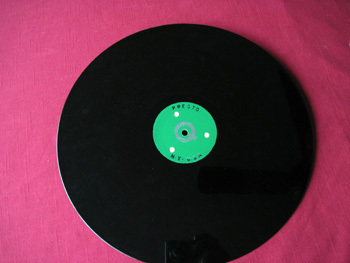 The Acetates are from an estate of a Hal Rees. 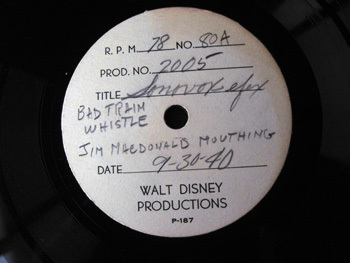 He was one of the first guys to help invent sound effects. 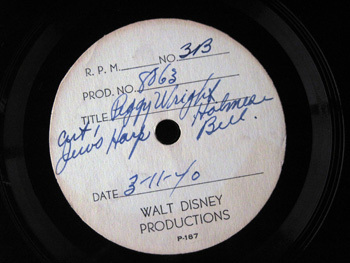 He worked for the Disney Studios as well as Samuel Goodwin Studios. 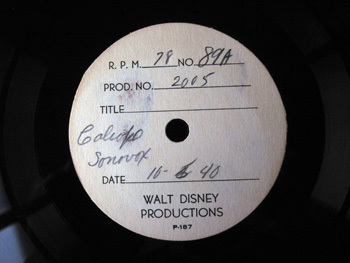 He also played at Catalina Island with the big bands as a precisionist. 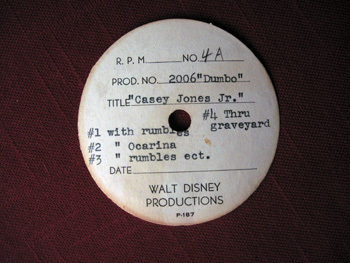 He was later retired into the Disney Legends. 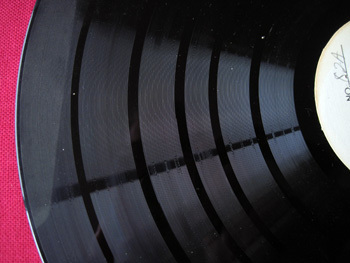 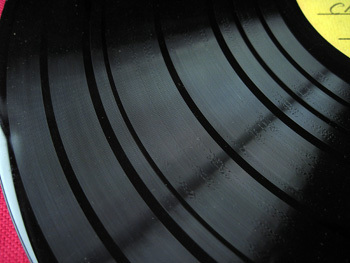 Click on image of grooves to view in detail. 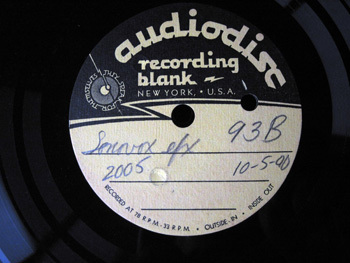 78 R.P.M Prod# 2005 Sonovox efex. 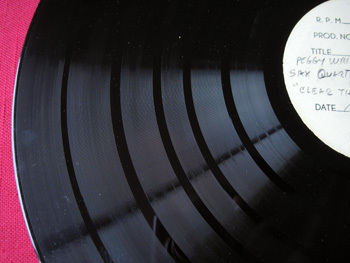 Prod# 2248 "Hi Diddle De Dee"